Fragmentation characteristics influence mucking productivity, crusher throughput and energy consumption, plant efficiency, yield and recovery, or the price itself of the end product in the case of industrial minerals and aggregates. Reliable, quantitative measurements of fragment sizes are instrumental in controlling and optimizing the blasting results. Measurement and Analysis of Blast Fragmentation presents the latest developments in rock fragmentation measurement techniques and analysis. It includes image analysis and machine vision techniques, either photographic or 3D such as stereo-photogrammetry and laser triangulation; case studies of fragmentation measurements in a variety of situations and used in different optimization and control tasks; fragmentation analysis and new suitable functional descriptions of size distributions, and model-scale fragmentation tests with weighed size distribution data. 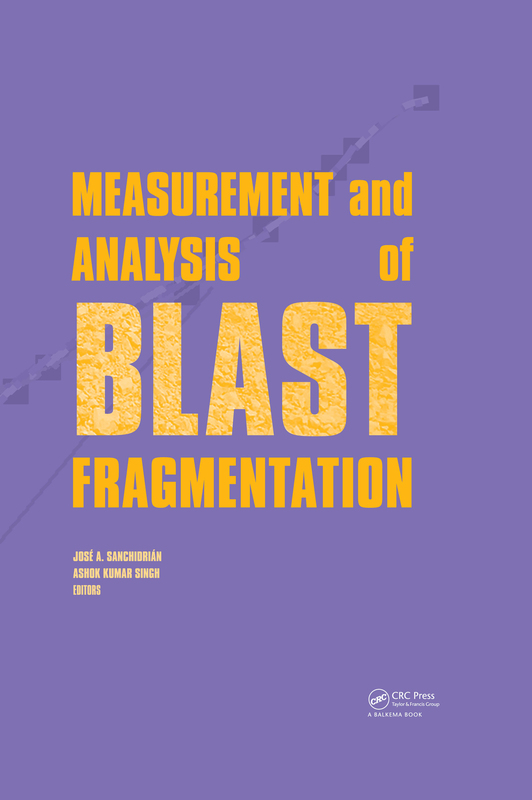 The contributions in this book were presented at the workshop Measurement and Analysis of Blast Fragmentation, which was hosted by Fragblast 10 (New Delhi, India, November 2012), provide a snapshot of the activity in rock fragmentation measurements and analysis around the world, and are a must-have reference for engineers and researchers working in rock blasting.